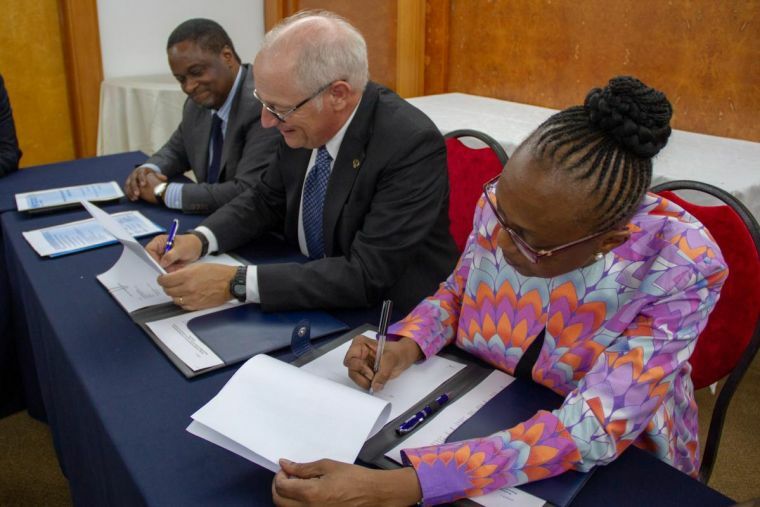 Christian medical charity Mercy Ships has signed an agreement with the World Health Organization (WHO) to strengthen surgical care in Africa. The agreement signed in Dakar, Senegal, aims to increase access to surgical care and build the capacity of health workers to strengthen surgical care delivery systems. Mercy Ships operates the largest charity-run hospital ship in the world, delivering free, safe medical care to some of the world's least-developed countries. The 'floating hospital' is staffed almost entirely by volunteers, who give their expertise for free to help treat dental and eye problems, cleft lips and palates, tumours, club feet, childbirth injuries, burns and various other conditions. A report published in The Lancet earlier this year found that there is a severe lack of surgical provision in African countries: the number of operations provided annually was 20 times lower than the crucial surgical volume required to meet a country's essential surgical needs each year. Furthermore, when African surgical patients can get the surgery they need, they are twice as likely to die after their planned surgery than the global average. Since 1978, Mercy Ships has visited 55 countries, providing services worth more than £1 billion that have directly helped more than 2.5 million people. The organisation has also trained 40,000 local professionals in their areas of expertise to leave a legacy that lasts. This article was originally published in Christian Today and is re-published here with permission.